"The music sounds very fresh and I had lots of fun recording the tracks "
Editor's Note: Bernhard Beibl, previously guitarist with Tangerine Dream, was guest artist on Sequential Dreams "Legends" Album and more recently on "The Exodus Wave'" album. This interview was conducted after the release of Legends. 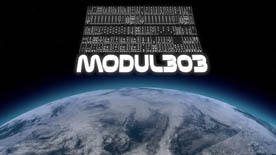 Interview by Wolf Red , radio programmer at Modul303.com - Listen to Modul303.com for the best in electronic music! Wolf Red: Your skills as professional musician were discovered worldwide in part due to your touring with Tangerine Dream, but can you share a bit about your musical heritage and background before joining TD? Growing up I was surrounded by music – my mother is a very good piano player and my parents have always been singing in various local choirs since I was a kid until now. My first instrument was the violin. I started at the age of 6 at the music school until I was about 16 years old. Due to the fact that my older sister was learning guitar I was exposed to this sound quite often and completely fell in love with it. Discovering the music of the Beatles and later on Guns'n'Roses and Metallica I really wanted to learn electric guitar, which I finally did. I started taking my first electric guitar lessons at the local music school at the age of 14 (which is rather late). After high school I first wanted to become an architect but soon I realized that I would not have enough time for playing guitar anymore. So I decided to study guitar at the Joseph Haydn Conservatory in Eisenstadt with IMHO one of the very best guitarists and guitar teachers on this planet: Gerald Gradwohl (who also is an Ex-Tangerine Dream guitarist). Wolf Red: Can you share the circumstances that led to your joining Tangerine Dream? BB: After this brief summary of my musical life you probably think that Gerald was the link to TD, but he wasn't. To be honest, I had never heard of TD before until my good friend and sound engineer Gerd Palkovits (who unfortunately passed away in 2011) purchased an Otari tape machine by auction – it turned out that Edgar was the owner. And when Gerd went there to pick up the machine, he was asked if he really knew how to use it ... and when he said yes, Edgar offered him to do some jobs in his studio. Some days later I got a call from my friend that Edgar was looking for a new guitarist and wanted to hear me. So I had my "audition" ;) and Edgar liked my playing style. I will never forget that: I was so concentrated on my playing that I didn't move much. And then suddenly after listening to me playing about 10 minutes Edgar asked, "Hey, what's wrong with your legs?" – Me: "Why?" – Edgar: "Don't you move them??" Trying to help me my friend Gerd said, "You should see him on stage ... he's moving a lot ..."
And that's what Edgar did: he really came to my hometown with his wife and Thorsten, the 2nd keyboarder. I had a gig with my old rock trio playing Hendrix, Deep Purple a.s.o. at one of the local discotheques. I was really doing my best – all the tricks like playing behind the neck or lying on the ground and moving like Marty McFly in "Back to the Future" and a lot of other crazy stuff. The final result was that Edgar and the 2 others left the place after a few songs promising they'd call me the next day ... but unfortunately didn't. A few weeks later my teacher Gerald told me that Edgar wanted him to play with TD again after some years of silence between them. He had also asked him if he knew this crazy guy who had been in the studio a few days before … me ;) Edgar had told Gerald that my playing had been great but he was afraid I would completely go berserk on stage ... I was a little bit pissed off, thinking, "What does he want from me – first he tells me to move and then it's too much for him?!" I was quite surprised when Edgar suddenly offered me to play the violin in the band. It felt like he wanted me to pass an exam before giving me the job. Wolf Red: Was your time with Tangerine Dream the first time you got into playing with an Electronic Music ensemble? Wolf Red: Outside of your work on electronic music projects, can you talk about your musical efforts in other genres, both in the recording studio and on stage? BB: I've been a rock guitar player since I grabbed this instrument for the first time. But for sure due to my jazz-guitar study I got into touch with various music styles and so I regularly play in jazz bands or whatever comes my way. I've composed and produced a big bunch of songs in various styles for the Austrian broadcasting corporation in the past and I've recorded solos for various bands and artists in many styles – from death metal to ballads for wedding bands ;) and so on. 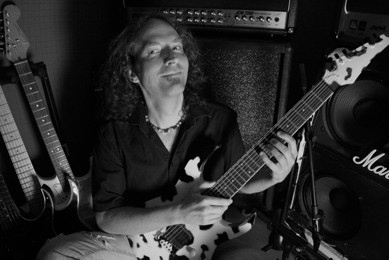 Wolf Red: You also offer guitar lessons and online training via Lessonz.com. Can you say a few words about what you like about being a music teacher? Wolf Red: Your latest recording project “Sequential Dreams – Legends Album” has you revisiting Electronic Music. Can you say a few words on any similarities and differences with respect to your work with Tangerine Dream? I guess that electronic music will always have some similarities with the music of Tangerine Dream. No doubt that the majority of electronic musicians were somehow influenced by Edgar. What I really like about the Sequential Dreams project (maybe that's a little difference to my work with TD) is that the mix is so great that for the first time I can hear my guitar and my violin crystal-clear and not hidden in a wall of delay and arpeggiators and pads! They don't compete!! ;) That makes me very happy! ;) The songs have great grooves and what I find very cool: each song is connected to an illustration by the artist Andreas Schwietzke. So looking at the picture while recording I could really get into the mood of the picture – very cool idea. Final mix and mastering by Ron Charron, Borders Edge Music. Check the Modul303 schedule for "Borders Edge" to see our weekly show, which plays a fine selection of electronic music, including Sequential Dreams!